If you are in the market to purchase an aquatic vessel, you should be excited! Why? Because the range of boats to purchase is wide and expands to adapt to your specific needs and wishes. For example, if you enjoy sailing, you have thousands of sailboats to choose from. However, if you are yearning for a vessel with a little more power, motorboats come in thousands of different models. When it comes to purchasing a boat, the model you end up with can be specifically geared to you and your needs. For example, boats vary in terms of size, speed, and extra attachments such as sound systems, wakeboard racks, and interior. It is up to you to determine what size you want, meaning how many people you want riding or sailing with you. You also must figure out what speed you would like your boat to be. If you intend to use your boat for cruising and relaxation purposes, a sailboat would be more suitable. However, if you plan to use your boat for adventure, sport, and recreation, a motor-powered vessel would be ideal. When getting a boat you also want to keep in mind what you intend to use it for. For instance, some boats are strictly used for water-skiing compared to wakeboarding. Some boats don’t produce enough wake that would be suitable for wakeboarding, which means if that is a feature you would like, you will need to search for specific types of tow boat models. The Centurion Enzo 224 or the Mastercraft X30 models are perfectly suited for wake creation and water sports. If you are a fisherman, you will want to use a motor-powered vessel in order to transport you out where there are more fish, away from the shore. Because of this, you want a boat that has good speed but low freeboard and V haul. Bass Boats are typically used by freshwater fishermen for their size and speed. However due to their horsepower and special geared features, they tend to be the most expensive of all boat models. When purchasing a boat, if you are wanting a more steady mode of transportation, you might want to consider a party barge. These boats are flat, slower in speed, and have more space to include more people. These types of vessels are more concerned with the interior, as comfortability is at the highest of priority for a relaxation vessel. Because they are used primarily for cruising speeds, this vessel is perfect for owners that would rather use their boat for rest and relaxation. If you are looking for a performance vessel, like one with a focus on speed, you might want to consider models like the Formula 292 Fastech. Performance boats tend to run faster, as they tend to come with a higher horsepower motor. If you are interested in a more performance-driven vessel, choosing a high-power boat would be more suited to you. 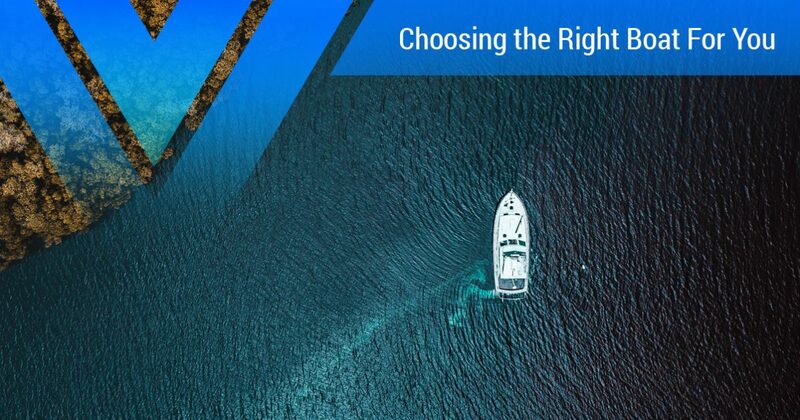 After you have chosen a boat that fits your needs, you might want to not only get insurance for the vessel, but also schedule out you maintenance-related dates. When you get a boat, you must keep in mind that there is a lot of maintenance that goes along with boat ownership. For instance, general cleaning, motor cleaning, and motor check-ups, are all included under the umbrella of boat maintenance. With all the maintenance that goes along with boat ownership, you might need a service that can help you coordinate and organize all of your appointment dates. Luckily, Vessel Vanguard is here to help you with all your boat maintenance needs. We can help you organize all the tools and maintenance requirements needed to keep your boat running smoothly. Not only can be prepare a platform for you to learn the individual pieces of your boat’s maintenance, but we can send you individualized notifications when your boat is due for a check-up. So, if you are interested in consolidating your boat maintenance schedule, contact Vessel Vanguard! We can make your boat ownership experience as simple and easy as possible. We also have representatives on stand-by that would be happy to answer any questions you might have about our business or our services. Also, if you are curious about any of our services, you can visit us on our website for more information!